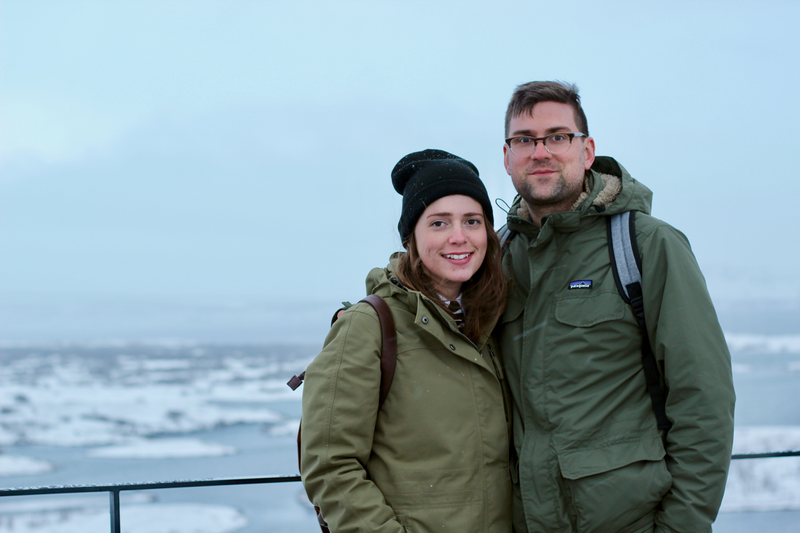 Our last two days in Iceland were kind of a whirlwind. Let's get to it! We ate breakfast at the hotel buffet, which we touched on more in last week's post. It was seriously delicious and a great way to say goodbye to our lovely hotel. We got dressed and decided we would walk into town to visit Hallgrimskirkja, which is the huge church in Reykjavik that you've probably seen many photos of. The weather was... not great. We were totally prepared for the cold but we were NOT prepared for wet. The walk into town was actual torture. I was almost blown over several times by 30 mph winds, and with rain and sleet hitting me in the face every step of the way, I was tempted to just give up. But finally, we made it to the church. It was packed, as pretty much every tourist in town was there to find solace from the crazy weather. We sat for awhile to get our bearings (and reach out to our Airbnb host) but then took the elevator up the 8 flights to see the amazing views of Reykjavik from the top. 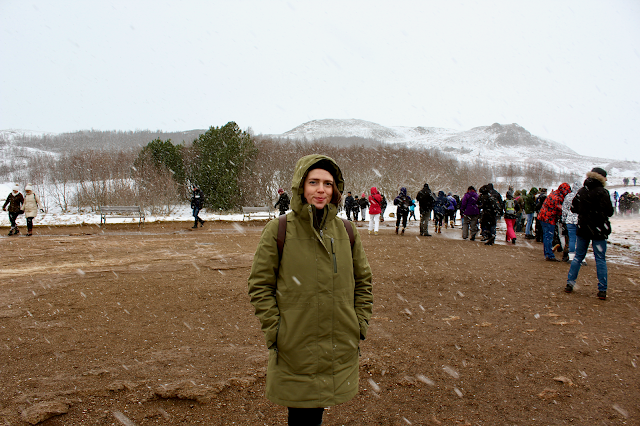 The viewing floor is open-air, insanely cold and windy, so we only lasted enough time to get our photos and leave. 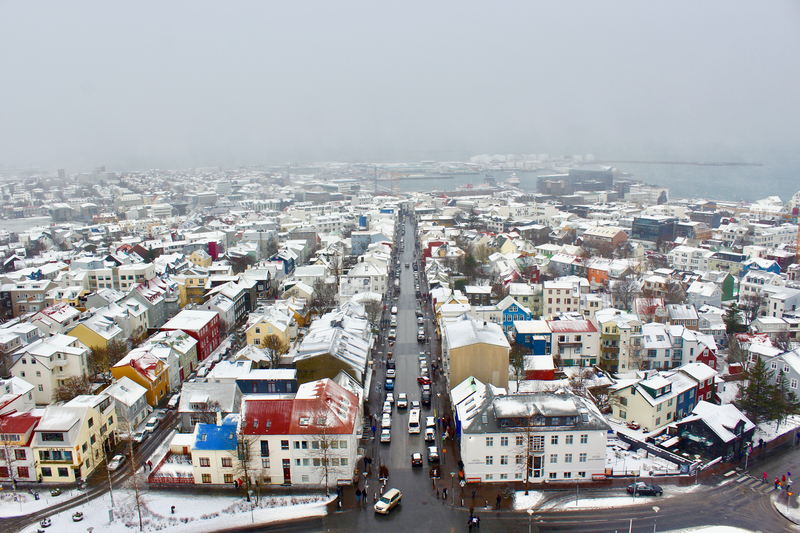 Regardless, it was a really cool experience and I'm glad we got the epic photo of Reykjavik that everyone gets, ha. 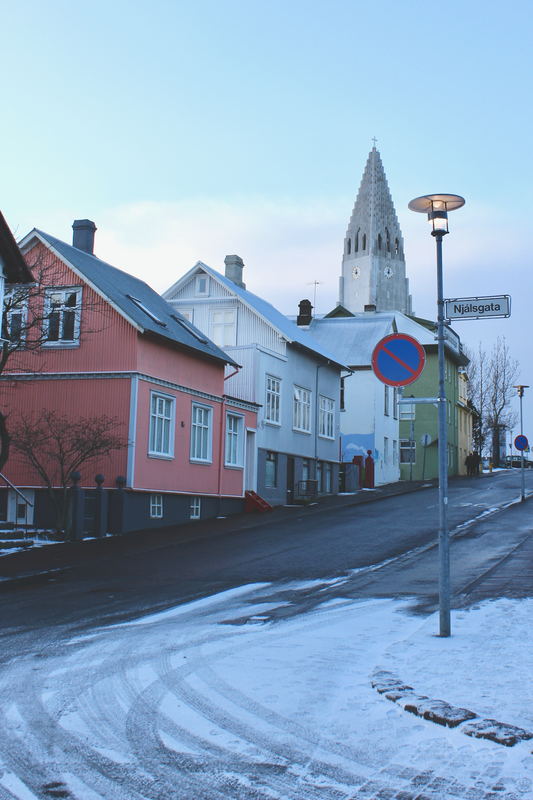 Right across from the church is Reykjavik Roasters, which we've heard is the best coffee shop in town (turns out, it's literally one of the best roasters in the world!). It was so quaint and charming inside, but crowded (again, that weather issue.) We grabbed two Americanos and sat down to try and contact our Airbnb host again. By this time, it was early afternoon and we were starting to get nervous. The tourism in Reykjavik is insane and every hotel and hostel in the area is at full capacity months in advance. I reached out to Airbnb directly and within the hour found out that our reservation was cancelled. I still have no idea if this was a scam or if the person just decided last minute that they couldn't host us, but we went into emergency mode. We had to find a place to stay and find it fast. We checked every hotel and hostel and no one had a room/bed. I started reaching out to Airbnbs and several declined on account of it being last minute (...what, two hours isn't enough notice? Just kidding.) Finally, I reached out to a host that advertised his space as room for 1 guest, but it had a double bed. Luckily he and his girlfriend were gracious enough to accept us for the weekend. Seriously, such a relief. We thought we'd be sleeping in the bus station, for real. With a little more pep in our step now and the weather finally improving, we headed to Lebowski Bar (yes, a Big Lebowski-themed bar!) for veggie burgers and fries. Super delicious - I wish we had gotten to explore this bar more. In full disclosure, we've never seen The Big Lebowski so we probably didn't pick up on all the little nods to the movie. The bathrooms were cool though! Afterwards we headed to our new Airbnb which happened to conveniently be right next to Reykjavik Roasters (yes, the same place we spent two hours trying to find a new place to stay!) Later that night we walked around town a little bit and grabbed beers at The Laundromat Cafe. It's a super colorful spot, full of rainbow bookshelves (reminds me of home!) Afterwards we went to Microbar and got a flight of local beers. Then it was back to the Airbnb to sleep off the craziness of the day. We woke up early on our last full day in Iceland and went back to The Laundromat Cafe for breakfast. 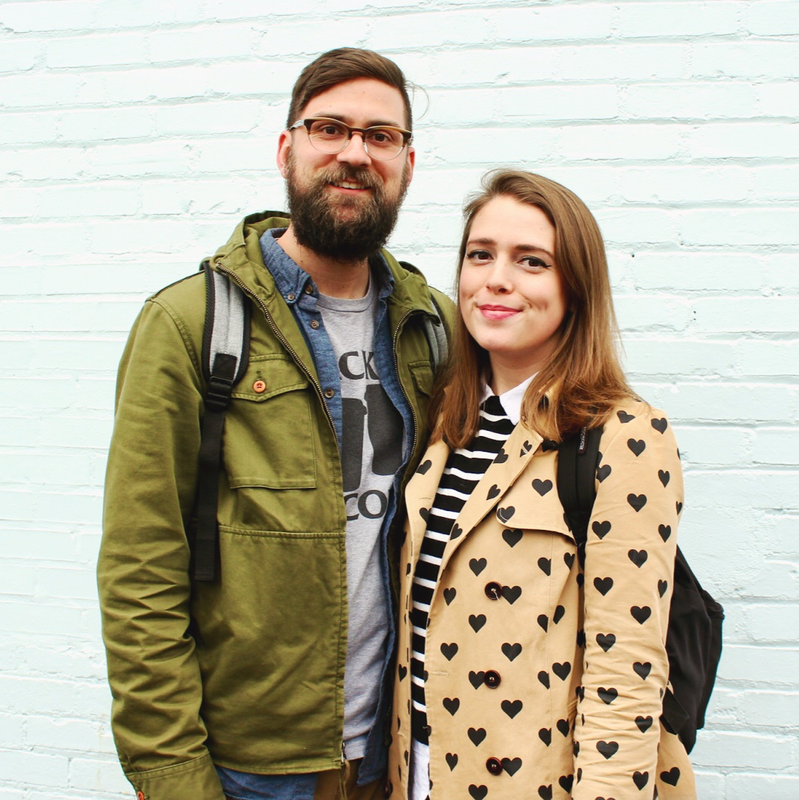 After peeking their menu the night before, we couldn't get their breakfast options out of our head. 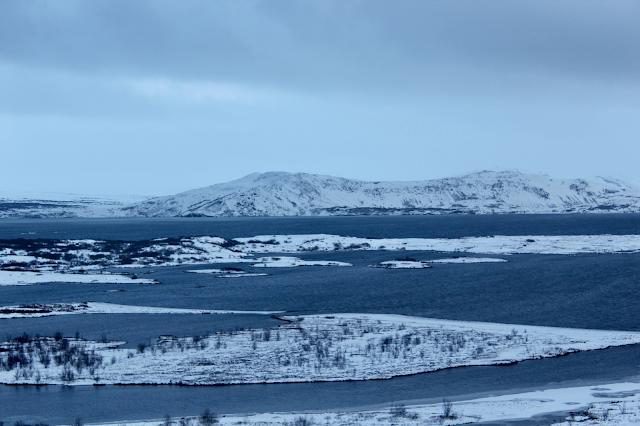 The rest of the day was spent on the Golden Circle tour that was cancelled the day prior. The weather was still rough, but we were happy that the tour was still on. 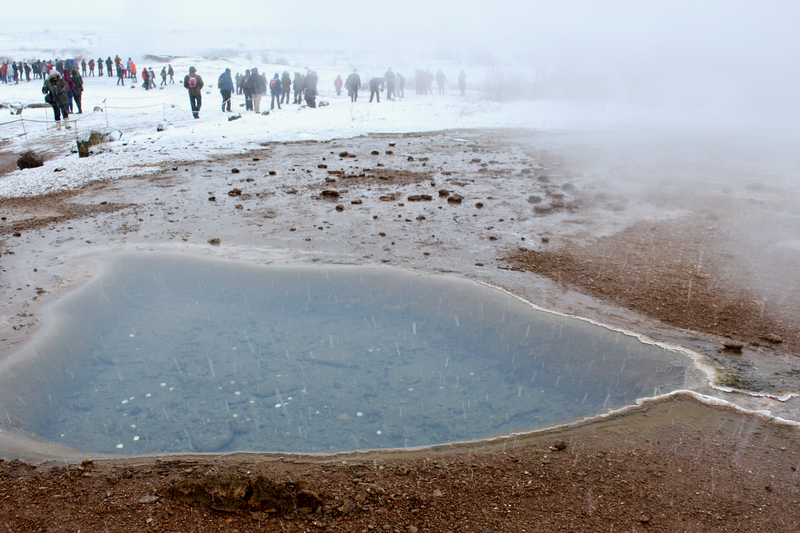 The Golden Circle is primarily three stops: the geothermal hot springs in Haukadalur (including Geysir), the Gullfoss waterfall, and Þingvellir National Park. 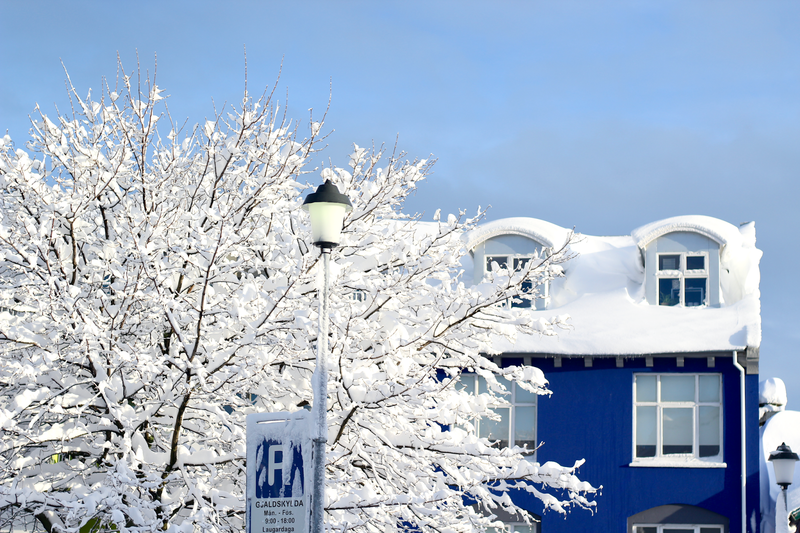 The stops are actually not too far away from Reykjavik, but the tour bus drives out of the way so you can see Iceland's beautiful landscape and even Icelandic horses! Fun fact (per our tour guide): Did you know there are naturally NO trees in Iceland? Every tree (about 4 million of them) was planted by a person. After about an hour, we arrived at Geysir. 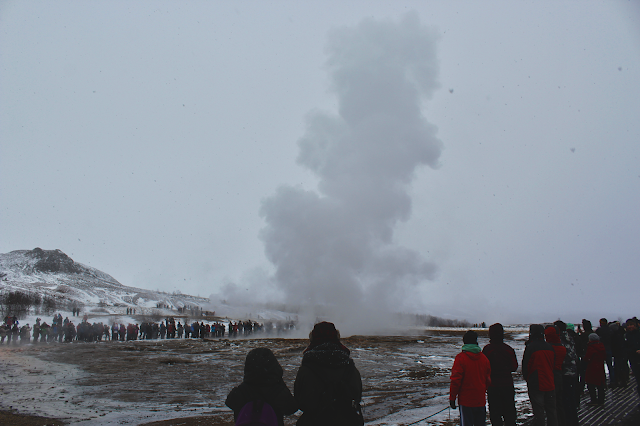 It was pretty snowy and the ground was really icy in places, but we walked around the geothermal park to see all of the hot springs and geysers. It's a really beautiful area. 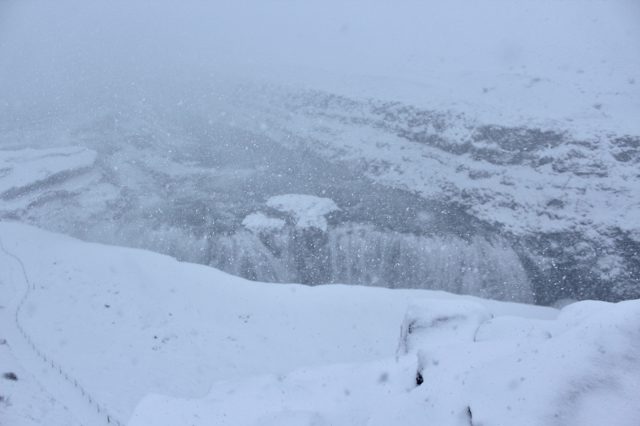 Next we went to Gullfoss, where we had the option to go to the overlook area or to the bottom of the waterfall. We just went to the overlook, but unfortunately couldn't even see because it was snowing so hard. Definitely a bummer because photos of it are really gorgeous. The photo above is our only photo of Gullfoss. Yes, that's a waterfall in there. The last stop of the day was Þingvellir National Park. 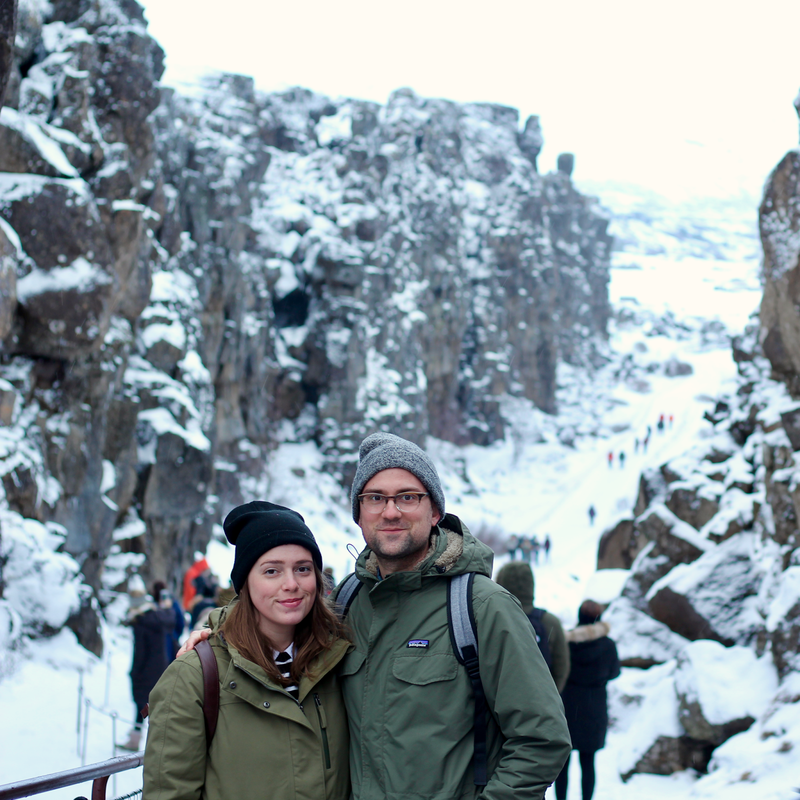 We didn't spend much time there, but while there we crossed back and forth between the Eurasian and American tectonic plates, which was pretty cool. All in all, most of the day was spent on the tour bus. We were so excited for this tour, but I think we would have loved it more had the weather been nicer. Once we arrived back in Reykjavik we went to Pizza With No Name for dinner and it was soooo good. My favorite meal of the trip, hands down, and a great way to end our Icelandic adventures. It's a little hard to find since it literally has no name and no sign outside the restaurant. If you go to Reykjavik though, FIND IT. The following morning we woke up to 18 inches of snow, but packed our bags, trekked to Reykjavik Roasters again for coffee and breakfast, and then to the bus station. After a delayed flight, we were finally on our way back to PGH. Ok, Nick here. Before I recap, I just have to say that we saw Greenland from the plane. I mean, Iceland is super cool, but it's a place that I honestly DID think I'd one day get to see, one way or another. But Greenland? There's something about the fact that I got to see Greenland with my own eyes that seriously excites me. I don't personally know too many other people that could say they did too. It was a pretty cool experience. - WOW Airlines: See last post for details, but we will definitely fly WOW again. - Reykjavik Excursions: We booked our Golden Circle tour through RE. Similar to the Northern Lights tour, they picked us up in a van and transported us to the bus station where we boarded a tour bus. As mentioned above, our tour was cancelled, but they allowed us to go on the next day's tour. Only good experiences with them! 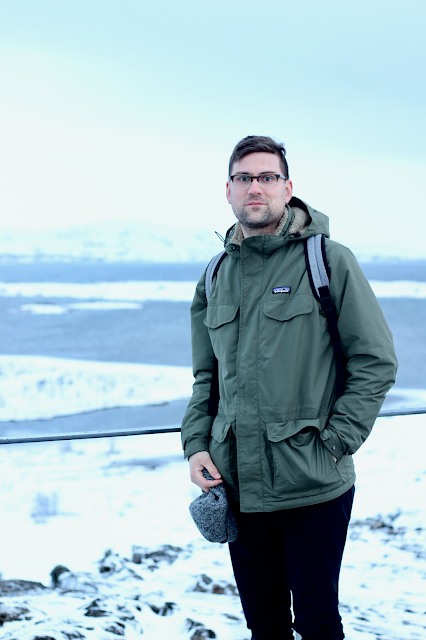 - Walking: Iceland truly is not that cold. Pittsburgh is typically colder in the winter months. We went to Iceland with the temperature in mind, but not the wind and complete irregularity of precipitation. Forecasting means nothing there, so have waterproof gear if you plan to go anywhere on foot. 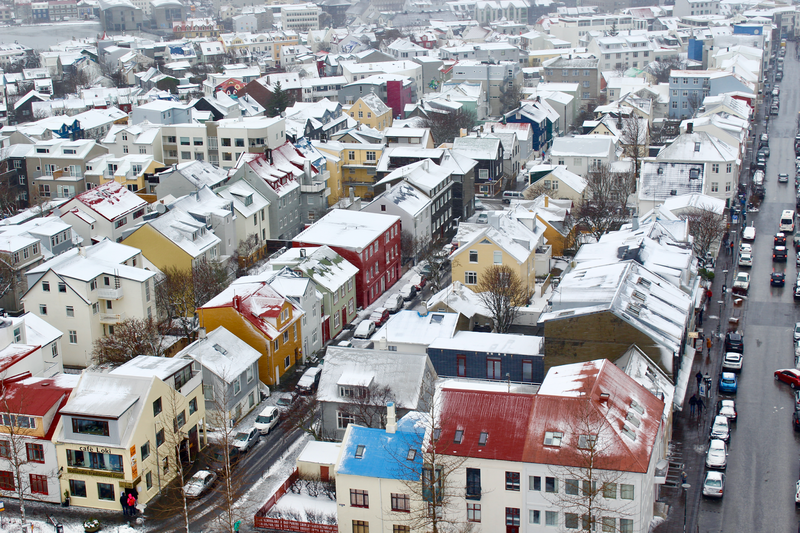 - Reykjavik Roasters: One of my favorite places on the entire trip. Easily the most delicious coffee we had the whole time, and all-in-all a truly cozy, comfortable place. 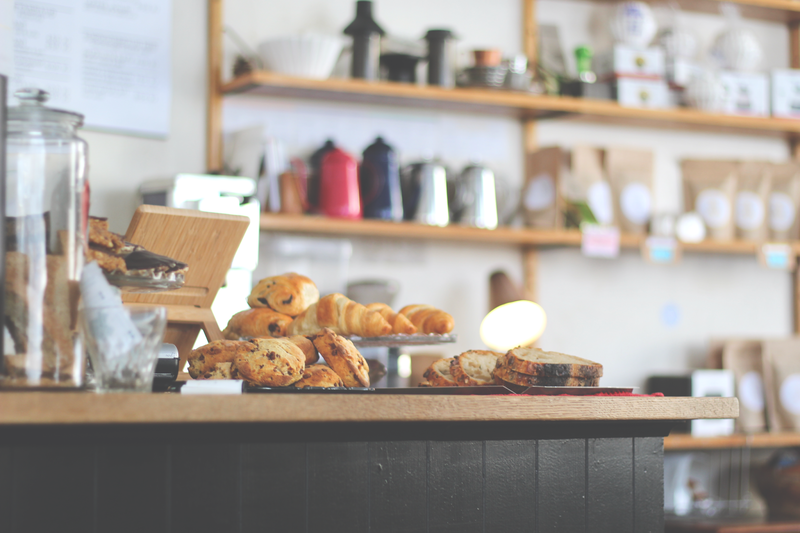 Spinning vinyl, world-class coffee, local food, comfy chairs, 'nuff said. - The Laundromat Cafe: Super cute place with color-coded book shelves. Basically home away from home, so yeah, we liked it there. - Microbar: A basement bar with a TON of local beers on tap. Nothing fancy or extra, just a room with tables, music, and beer. This was a super cool place. 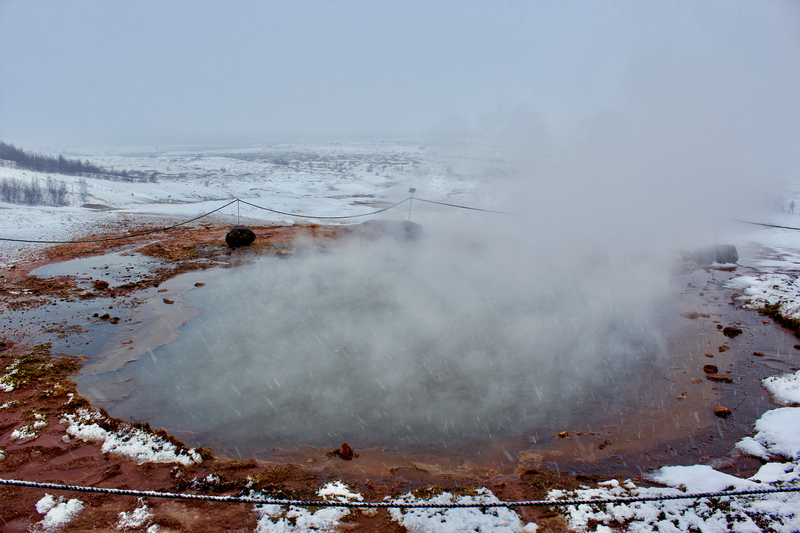 - Geysir: I really loved this stop on the Golden Circle tour. 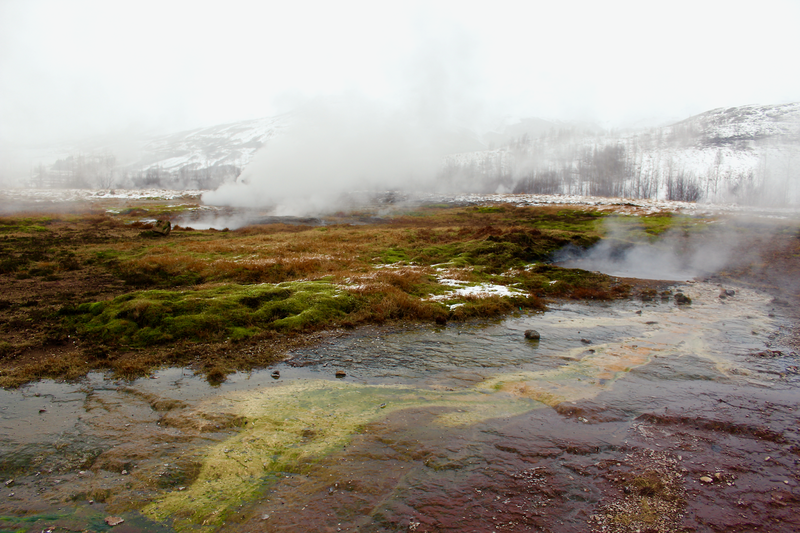 The entire geothermal area was so beautiful, and there was tons to explore. Only drawback is that it smells like rotten eggs everywhere... but hey, what can you do? 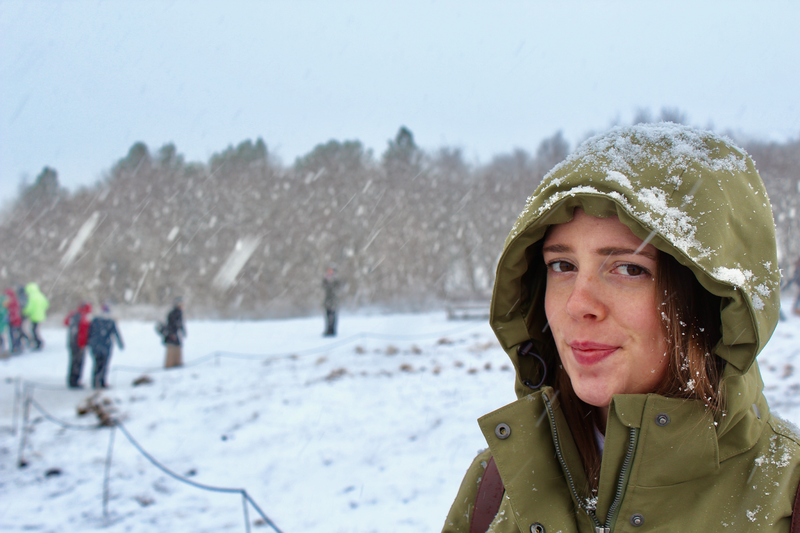 - Gullfoss: I was really looking forward to this. It's truly a shame we couldn't even see it. 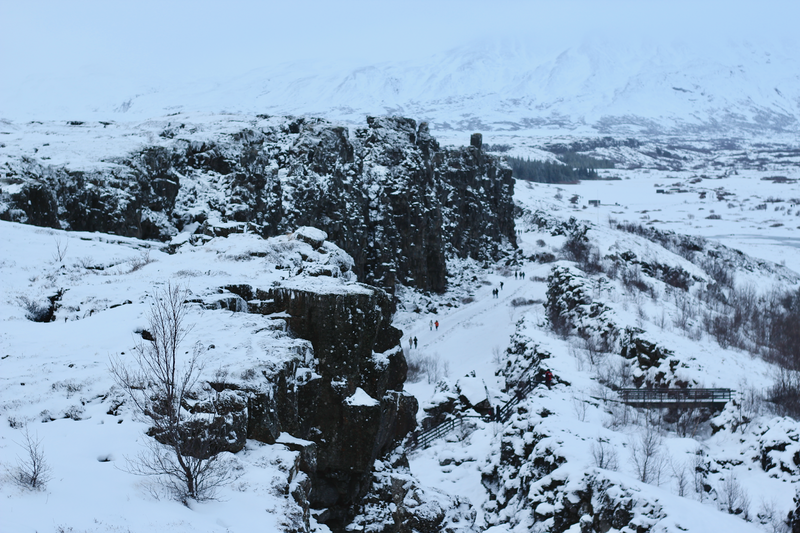 - Þingvellir National Park: This enormity of this view is impossible to capture in a photo, but being there was spectacular. It was the perfect last stop to a long day. - Airbnb: We had quite the debacle with Airbnb this trip, but I also learned some valuable lessons. ALWAYS connect with your host right after they approve your booking and again a few days before checking in. Truth be told, our host approved our booking but we never messaged. Mistake. So, I still have no idea if it was a real person on the other end or if it was a scam. Airbnb reimbursed us our full amount + 10% that we used towards our replacement Airbnb. Very thankful to have found that last-minute home away from home! If you're interested in trying Airbnb, you can get a credit for your first trip through our referral link! Such a great and helpful recap! I can't believe that happened to you with the airbnb..I've only had great experiences so that freaks me out. Glad that it all worked out. Same with us! Luckily we found another spot and it was nice of Airbnb to give us extra money. Next time we use Airbnb I'm definitely reaching out to the host right away! Love these photos, I've never been to Iceland before but it looks so beautiful. I hope ypu're having a great day.